A big part of our homeschool revolves around reading great literature. Some of our literary studies, I will read out loud to the kids and other times they will read the books themselves and then do a study or literary analysis on their own. When they read the books independently, I love to discuss the books with them, but this is not always realistic. With four readers in the house now and two of them at the high school level, there is a lot of reading going on here and it is sometimes very difficult to keep track of exactly where in each book each child is. I would love to be able to sit down over a cup of tea and discuss their reading with them individually, but there are only so many hours in the day and every romantic notion in our lives does not come to fruition. For this reason, I am so thankful for the literature study guides produced by Progeny Press. 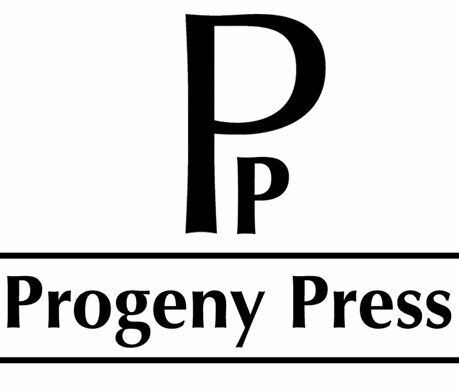 Two of our children are currently using Progeny Press studies. One of our daughters, who loves learning about people and cultures from around the world, is consuming Things Fall Apart and its corresponding study guide. It is the story of an African clansman that is worried about being perceived as a failure as his father was and what actions he takes in life to prevent this from happening. Our 13 year old son is equally enthralled by The Eagle of the Ninth and its accompanying study guide. This story is set in the early second century A.D. The main character is that of Marcus, who along with his friend and former slave Esca, sets out on a quest to recover the Eagle standard and his family’s honor after his dad and his company of soldiers mysteriously disappeared years earlier in the northern wilds of Britain and Scotland. Upon receiving the study, the student is encouraged to read through the entire book and then begin the study. We honestly don’t do this. We have tried in the past, but once the kids have read the book all the way through they are really ready to just move on to the next book. So we just jump into the study guide and read the book in the smaller breakdowns needed to complete the sections of the guide. Prior to reading the book, there are generally some introductory pages in the guides. Both of the guides we used contained a synopsis of the book as well as a biographical sketch of the author. There are also some pre-reading activities that are suggested. For the Eagle of the Ninth, the student was encouraged to watch a video or do some reading on the Roman Empire, obtain some basic knowledge of the Roman Legions and army, and review the geography of Northern Britain. Our son did this very briefly since we were right in the middle of a study on the Roman Empire in history. His main focus was in learning more about the structure of the Roman army and the difference in roles among the various commanders over the legions. Our daughter also did a small amount of pre-reading research for Things Fall Apart. She is studying Cultural World Geography in history this year so this literature study was also a great fit for her. Some of the suggested pre-reading activities for her book were to study the origin of the title of the book, review the geography of Africa, complete a people group study on the Ibo people of Nigeria, and orient herself to the impact of colonialism in Africa. In addition to these resources, there was also a short Cultural and Historical Background resource page at the beginning of the study guide. Each of the studies we used broke the books down into sections of reading three chapters at a time and then completing various exercises. Eagle of the Ninth contained the following sections: Vocabulary, Questions, Thinking About the Story, Dig Deeper, and an optional activity. The vocabulary section contains various vocabulary activities that help the student to broaden out their word knowledge and how the words are used contextually. These include matching the word with its definition, matching with synonyms or antonyms, defining the word and then using it in an original sentence, etc. The Questions section is a series of reading comprehension questions. The Thinking About the Story section is the application and study of literary devices through the text. Some of things covered are foreshadowing, similes, cliffhangers, and extended metaphors. The Dig Deeper section is where the major themes of the section of reading are aligned with scripture to help the student understand the moral implications of the text based on biblical standards and how it applies to their own life. An aspect we really loved about both of these studies is that they can come in an interactive pdf file. There are expandable spaces for the student to enter their responses by typing or you can print the study off and have the kids write in their responses. Here is an example from one of the vocabulary sections in Eagle of the Ninth. 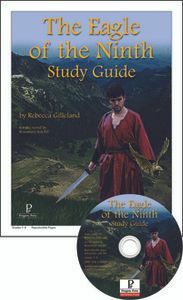 The Eagle of the Ninth study guide is intended for use by middle school students. I personally feel that the text can be challenging, but the activities in the study guide are very appropriate for this age group. Because of the challenge of the writing in the text, my personal recommendation would be that this study is more appropriate for older middle school or younger high school level students. The study guide sections for Things Fall Apart are very similar to those found in Eagle of the Ninth. There is an additional section after the vocabulary which exposes the student to the different aspects of character study. The Thinking About the Story section is renamed as Analysis in the high school study guide which is descriptive of its nature as literary analysis. The vocabulary, characterization, and analysis sections are all great at building on the fundamentals of literary analysis. The icing on the cake is the Dig Deeper section where as in the middle school study the student is really asked to dig deeper into their own personal convictions to analyze the moral aspects of the literary work that is being presented. For example, after reading Chapters 1-3 the student is challenged to think on different cultures responses to sin. There was also an overview section after the Dig Deeper in the Things Fall Apart study guide that helped to bring the overall theme of the Dig Deeper section. We really loved using these studies. Our desire as a family is to tie what the kids are studying in history with the literature they are reading. This happened with both of these studies with our children that used them. It really helped to accentuate what they were learning in history, provided a strong basis for learning how to do a thorough literary analysis of a piece of literature, and assisted them in applying the moral integrity of the book to scripture and refining their own religious convictions. The high school level studies are considered to be a .25 credit hour of work. Therefore, four study guides completed in a year would constitute the fulfillment of a full credit hour in literature. The cost of these resources is very reasonable as well. The study guides can be purchased either in a printed paper copy, a physical CD, or an instant download. The Eagle of the Ninth sells for $18.99 as a printed paper booklet. The CD or instant download versions are $16.99. 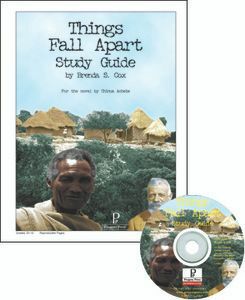 The Things Fall Apart study guide sells for $21.99 as a printed paper booklet. The CD or instant download versions are priced at $18.99. The books are not included in this price, but can be purchased through Progeny Press or other retailers. Many of the books studied with the Progeny Press Study Guides are easily found at most local libraries as well. Teacher answer keys are provided with each study. The Oaks family at the Double O Farms highly recommend the study guides by Progeny Press. But as always, don’t just take our word for it. 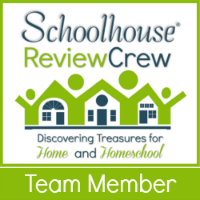 Check out what others on the TOS Review Crew are saying.